Looking for something to do this week? From a mock UN debate to a Golden Bears basketball celebration, here's a roundup of options to help you get social around town. IGMUN -- the Inter-Generational Model United Nations -- provides opportunities for individuals of all experience levels to practice their debate and negotiations skills in a noncompetitive simulation of the United Nations. Saturday's theme will be "Global Goals - 2030 agenda," with an emphasis on sustainable development. When: Saturday, January 12, 8:45 a.m.-5 p.m.
Where: First Presbyterian Church of Berkeley, 2407 Dana St. Looking to get active? Join the Dholrhythms Dance Company as it welcomes in the new year with its annual Bhangra Dance class. The ritual is free and will provide a high-energy cardio workout to the tunes of traditional Bhangra beats. Remember to bring your water bottle, a smile and good vibes. When: Saturday, January 12, 9 a.m.-10 a.m. Calling all Cal basketball fans: Come support the Golden Bears as they take on the Arizona Wildcats at the Alumni House's first "Hoops Party" of the season. 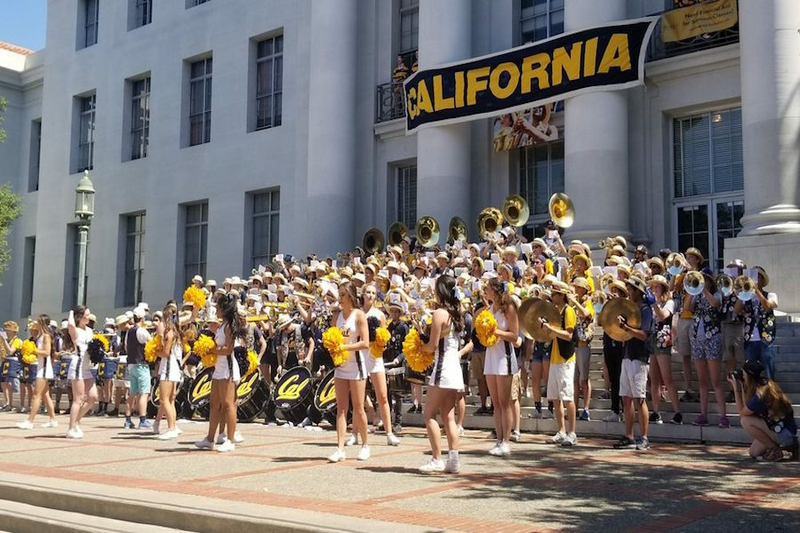 The event will include food, drinks, a coach's chalk talk and performances by Cal Spirit groups. Go Bears! Admission: Free (under 5); $10 (ages 6-18); $25 adult. More ticket options available. This seminar, geared toward parents of toddlers and preschoolers, will discuss how to set healthy boundaries that will encourage the child's sense of self-worth and empowerment. The discussion, which will be held by clinical social worker Rachel Biale, will be Q&A-based, so be sure to jot down a few questions beforehand. When: Sunday, January 13, 10:30 a.m.-12 p.m.
Where: Jewish Community Center of the East Bay - Berkeley Branch, 1414 Walnut St.